Siesta L sun lounger - Two uses from one item... 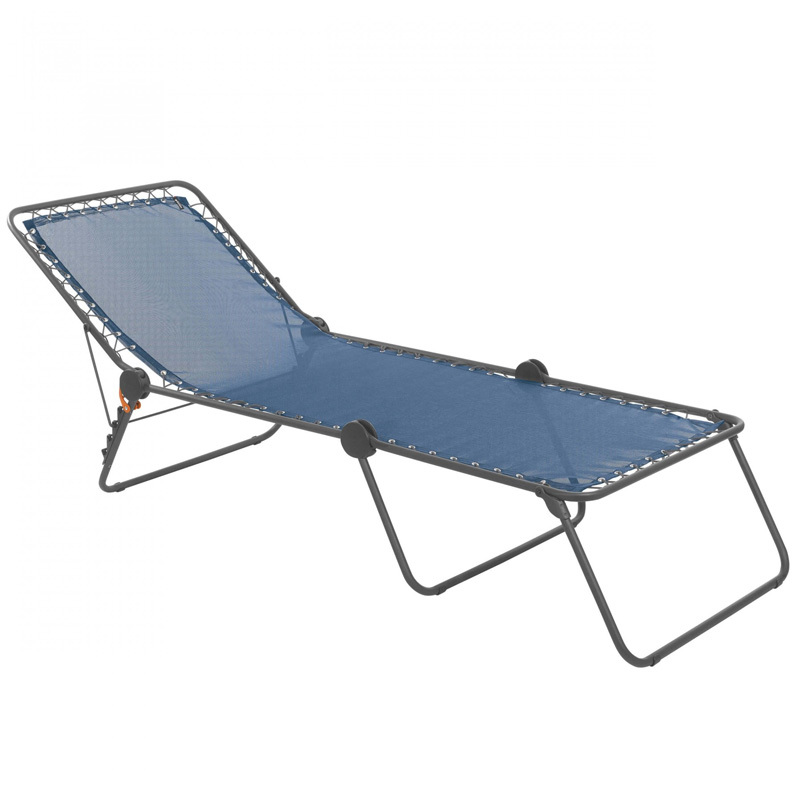 This lounger is perfect for a quiet sunbathing session next to the pool or for taking a recharging nap in the garden. It is also ideal as a spare bed at home or when camping. With flexible, pleasant comfort, from the elastic lacing suspension system, it is resistant and takes up little space when folded. In addition it offers a good quality to price ratio. Its Batyline® fabric which has excellent resistance to UV exposure, does not lose its shape, dries quickly, is resistant to ripping, abrasion and mildew due to an anti-fungal treatment. It is easy to clean and environmentally-friendly as it carries the Okeo-Tex® label, which guarantees it is free from toxic substances. Four position adjustment of backrest to relax as you wish. Sturdy steel frame, will hold up to 140 kg.